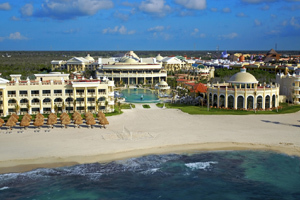 Iberostar Grand Free Night Sale! Stay 4 nights or more at any of the following three Grand Resorts and get 1 night FREE! Valid for travel by: 4/30/10. Book by 12/01/09. The hotel, located within the Iberostar Rose Hall complex, offers premier components of Iberostar's Grand Collection with ultimate levels of luxury, gourmet cuisine and impeccable service including butlers who cater to your every desire. The seductive charm of this architectural jewel is sure to capture the heart of those in search of the finest all-inclusive Jamaica vacation experience. This luxury resort features an oceanfront spa and fitness center and a serene lake-style pool as well as a second activity pool; plus all-suite accommodations and access to an 18-hole championship golf course designed by P.B. Dye. Total indulgence. Complete pampering. The ultimate escape and the reward for all that you've accomplished. At the beachfront Grand, you'll find a level of sophistication created exclusively for those mature enough to appreciate it. Here, the couples-oriented spa awaits, your oversized suite features an intimate Jacuzzi, and each moment is experienced with a heightened sense of pleasure. 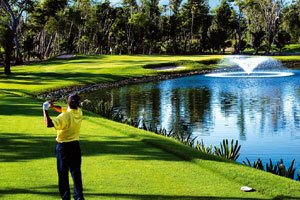 Guests enjoy one free round of golf at Playa Paraiso's PB Dye-designed course per person for stays of 4 nights or less and two free rounds of golf per person for stays of 5 nights or more. Additional rounds are available for a fee. IBook five nights or more at a select Iberostar Grand Collection Hotel, we’ll give you one night FREE, plus a FREE hot stone couples massage*. 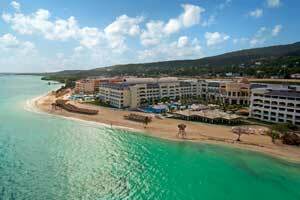 BOOK ANY IBEROSTAR GRAND HOTEL AND SAVE!! 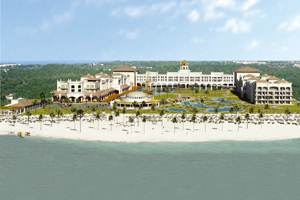 Iberostar Resorts have long been favorites of Apple Vacationers! 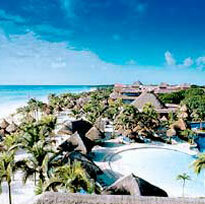 Located on the finest beaches in Riviera Maya, Cozumel, Jamaica and the Dominican. Iberostar Grand Hotel Bavaro! - Book Early! Save Big! What's Hot...Time to book your Holiday, Winter or Spring Break Vacation is now while some of the best resorts are still available. Adults & Families planning an exciting Winter Escape escape to warm sunny places are reserving now to get the best rooms and prices! Hurry, space is limited! SUMMER VACATION ~ BOOK NOW WHILE BEST RESORTS AVAILABLE! Note: Government and Airline Fees are not included for all hot deals above. Last Minute specials are for travel dates within the next week or so. FOR EXACT DETAILS OR FOR YOUR DEPARTURE CITIES SPECIALS CALL OUR RESERVATION AGENTS DIRECT! CALL FOR DETAILS ! HURRY LIMITED SEATS REMAIN! For other Departure Cities and/or Destinations, check out our Specials Page, and our Discount Hotel Pages. If you don't find what you're looking for, PLEASE CONTACT US DIRECT! More specials listed on this page are based on LAST MINUTE TRAVEL, which means travel within the next 7 - 21 days. Airfare rates and air & hotel specials listed are Round-Trip and do not include US & Mexican Departures & Taxes. Taxes vary by Destination & Departure City. We have vacation packages, special all-inclusives, cruises, tours, & last minute specials. You'll find bargains everywhere.